I finally gave in and bought some Golden Glass Bead Gel and this was my first attempt at using it. I basically saturated the muslin rosette with the gel, which took a very long time to dry. I had also been experimenting with inks and alcohol. More practice (and finding the best paper) needed I think! WOW! If this was your first experiment with these materials, I can't even imagine what you'd do as a seasoned expert! This was pretty darn breathtaking in my opinion! I really like the arrangement of the different colors and how the whole thing has kind of a soft magical aquatic look. 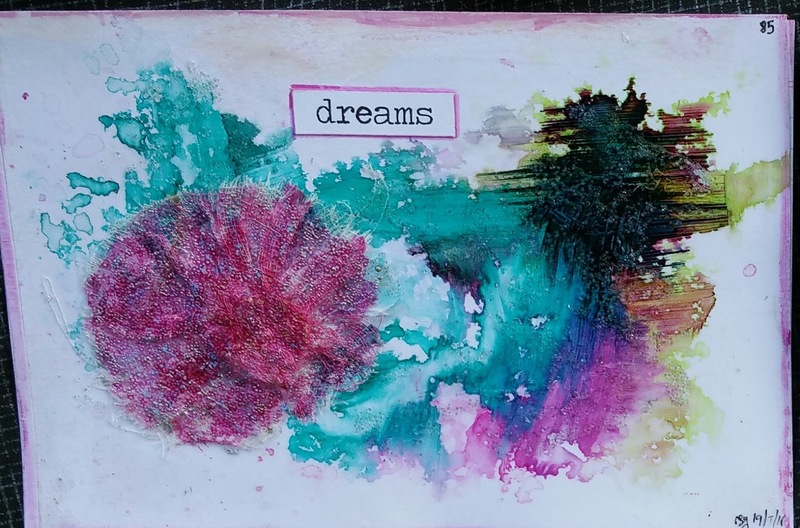 It does remind me of something ethereal like dreams and I especially like the dark splotch with its horizontal lines. 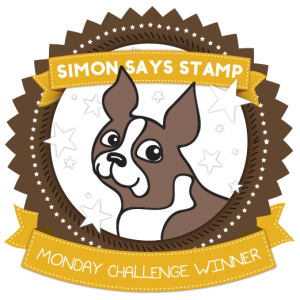 I give this an A+++, so thank you so much for sharing your talents with us for this week's Simon Says Stamp Monday Challenge! Wow beautiful! Love the mix of colours you chose!